The STEM Collaboratory NYC held a fantastic event on June 8th involving dinner, panel discussions, and networking. 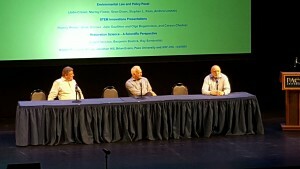 The event, held at Pace University’s Schimmel Theater, focused on law and technology’s place in restoration, in particular the NY harbor restoration. 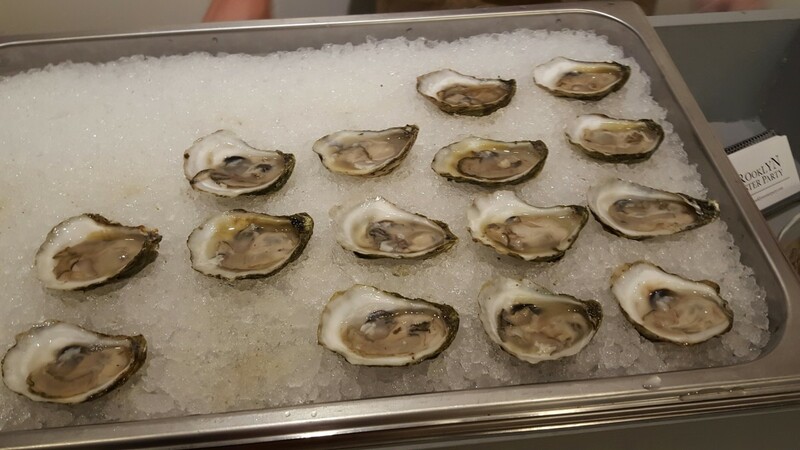 The Seidenberg School is close to the Billion Oyster Project, which aims to restore the NY harbor back to its previous oyster-inhabited glory, and Billion Oyster Project co-founder, Murray Fisher, spoke on one of the panels. After enjoying a buffet-style dinner of sandwiches, pastries, and – of course – oysters, attendees moved into the auditorium and were welcomed by Pace Provost, Uday Sukhatme, who made the opening remarks before passing the mic to Dr. Jonathan Hill, the Interim Dean of Seidenberg. “This is a powerhouse of people who have innovative ideas about how to teach STEM in schools,” Dr. Hill said, before the first panel began. 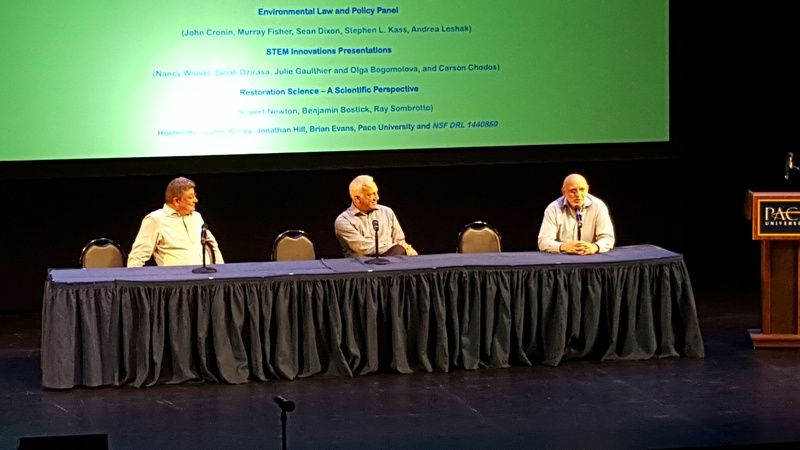 The Environmental Law and Policy panel included Murray Fisher, Steve Kass, Sean Dixon, and Andrea Leshak, and was moderated by John Cronin. 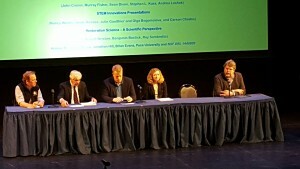 The panel discussed environmental restoration, with Sean Dixon – who teaches Oceans and Coastal Law here at Pace – pointing out that “the biggest thing with oysters in NYC is how big an opportunity they are.” The restoration of the harbor to a point where oysters can once again populate the water means cleaner water for other things. The second panel invited top young entrepreneurs from the NY tech scene to present and discuss their projects. Among participants were Olga Bogomolova and Julie Gauthier, two Seidenberg students (as well as staff/professors!) who created coding app Codapillar together. 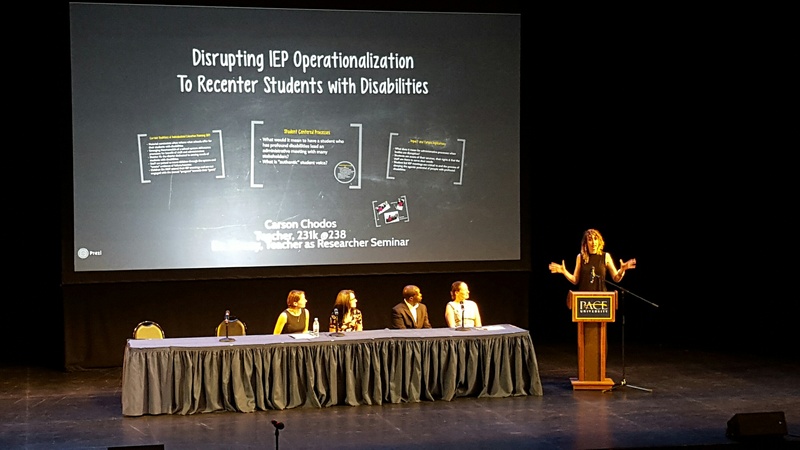 Other panelists included the talented Delali Dzirasa and Carson Chodos, with the DOE’s Director of Technology and Engineering (Teaching and Learning Division), Nancy Woods, moderating. “If you’re going to talk about restoration, you may as well shoot high,” he said. The evening concluded with a raffle, where lucky several attendees won gift cards. 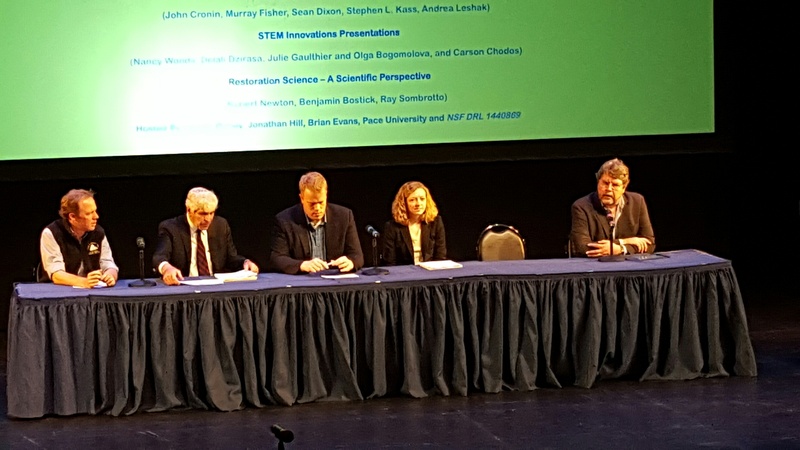 Thanks go out to Lauren Birney, Jonathan Hill, Brian Evans, Pace University and the NSF for making such a wonderful evening possible!